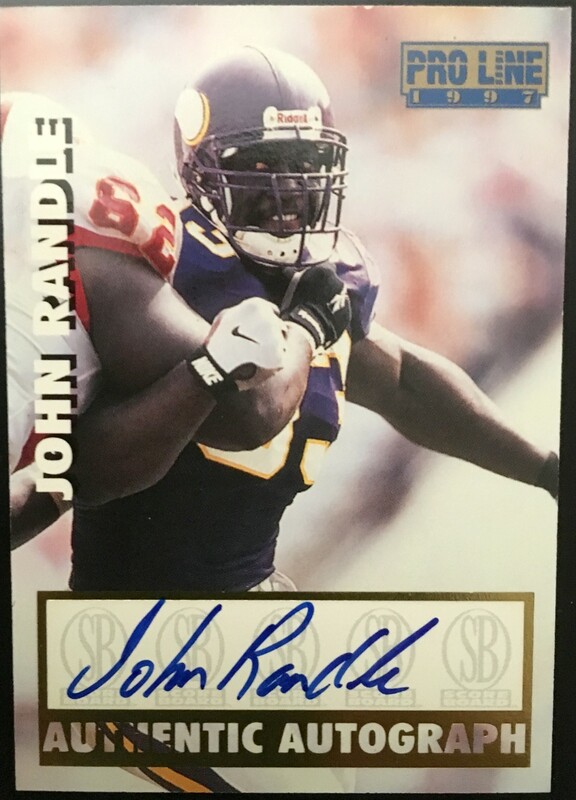 1997 Classic Pro Line certified autograph card of former Minnesota Vikings superstar defensive tackle John Randle. Has congratulatory message on back confirming authenticity. With certificate of authenticity from AutographsForSale.com. ONLY ONE AVAILABLE FOR SALE.